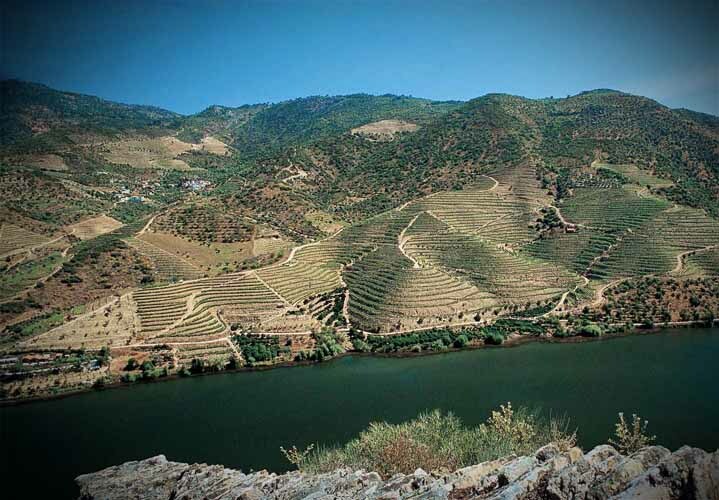 One of the Douro Valley’s finest vineyards, Bomfim is the heart of the company’s greatest Ports, having provided the main structure for Dow’s Vintages since it was acquired in 1896. The property is situated in the centre of the best wine-producing area, known as the ‘Cima Corgo’, which offers an ideal balance between the relatively wet ‘Baixo Corgo’ to the west (with sometimes excessively rich soils for the production of great Port) and the intense heat of the ‘Douro Superior’ to the east. The area was well known to Dow’s as prior to purchasing Bomfim; the firm had traditionally purchased the production of some of the finest quintas in the vicinity. 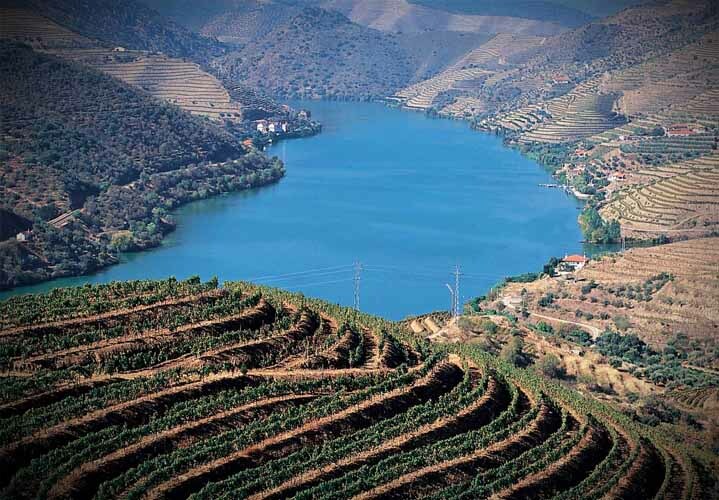 Bomfim is a classic ‘River Quinta’ with many natural advantages: it is south-facing ensuring ample exposure to the sun; its stony schist soil affords excellent drainage allowing water to reach the vines’ deep roots; the annual rainfall is near perfect at 800mm (15 year annual average); the altitude ranges from 120 to 340 metres above sea level, accommodating both gentle gradients lower down and progressively steeper slopes higher up the valley side, as well as offering a variety of aspects. A further advantage is the consistency of the climate, blessed with a favourable combination of temperate and Mediterranean influences, respectively from Portugal’s Atlantic coast and the Spanish hinterland. The whole Bomfim vineyard is ‘A-rated’, the highest quality grading conferred by the region’s wine regulatory body. The vineyards are now almost entirely planted in varietal batches, meaning each variety may be picked and subsequently vinified separately, thus allowing for each grape’s maximum potential to be tapped. The principal grape varieties planted are: Touriga Franca, Touriga Nacional, Tinta Barroca, Tinta Roriz and old mixed vines. Two-thirds of the vineyard is now over 20 years old, whilst one third is between 30 to 40 years old. Winemaking: Bomfim’s wines are vinified on site in the quinta’s fermentation vats which have been successively upgraded and which continue to produce excellent wines. Selected batches of wines are made at Dow’s modern facility, Quinta do Sol, just a short distance downstream where the prototypes of the revolutionary robotic lagares were first trialled in 1998 and 1999. Field research and development: advanced vinification practices amount to nothing without careful attention to viticulture and for this very reason, Dow’s employs a full-time viticulturist. One of his primary tasks is to conduct field experiments to assess such aspects as trellising systems, suitability of specific grape varieties, among several others. One of the principal areas under study at Bomfim is the matching of appropriate canopy management techniques to the grape variety and location. 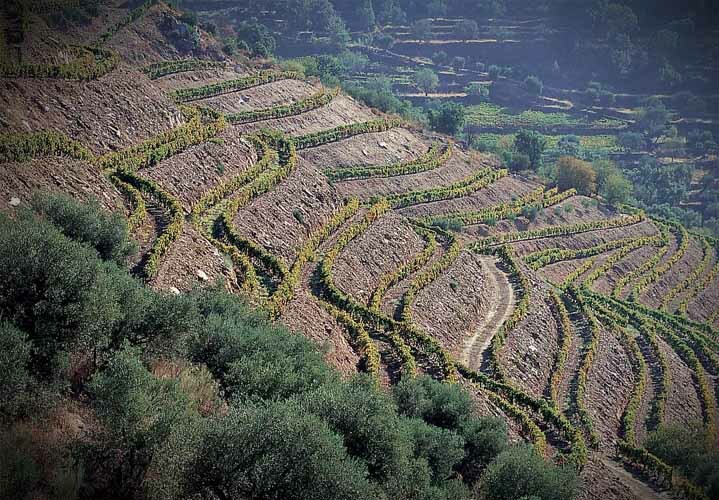 Accordingly, parcels of vineyards at the quinta contain six different trellising systems to monitor their performance under Douro conditions, using local varieties. Rigorous fruit analysis is carried out every year, comparative micro-vinifications being conducted in a dedicated winemaking facility at Quinta do Sol. The underlying objective is always to strive for maximum quality and that this may be reflected in the excellence of the Dow’s Ports in the bottle. In the Quinta’s Centenary year - 1996, Dow’s produced a superb single - quinta Vintage Port from Quinta do Bomfim. This wine has received wide critical acclaim, most notably a Gold Medal at the International Wine Challenge (London, 2005). 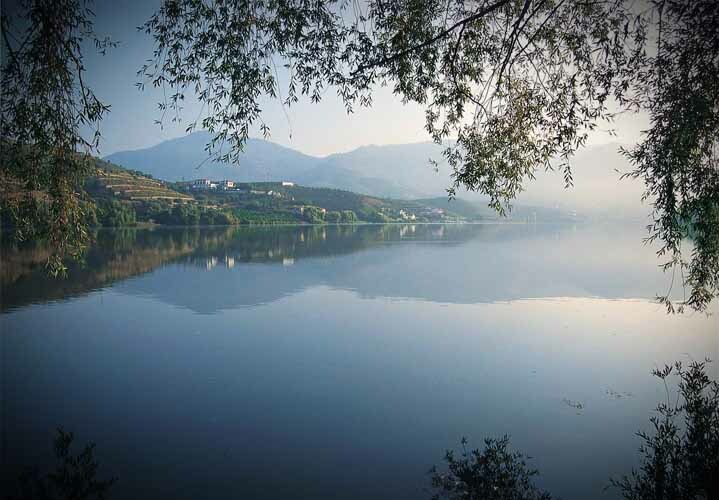 One of the classic River Quintas of the Douro and one of its most beautiful vineyards, Senhora da Ribeira is located 24km (15 miles) upriver from Quinta do Bomfim, a relatively short distance that belies the distinctive characteristics of each property. 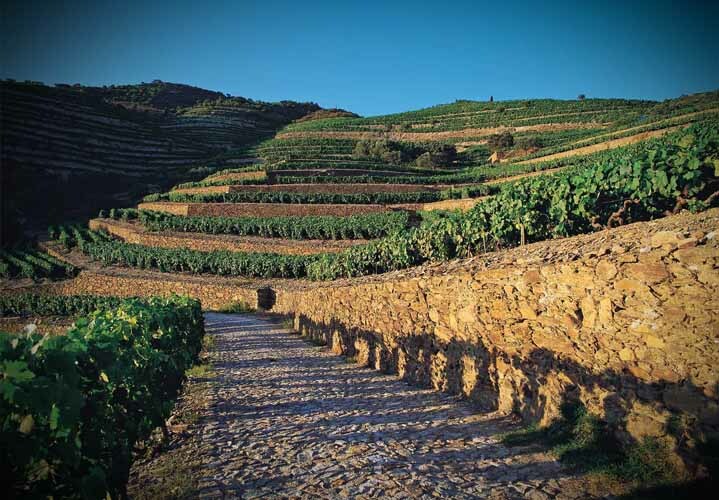 Quinta da Senhora da Ribeira is set in the remote, hot and dry Douro Superior and commands a magnificent north bank position, overlooking a broad sweep of the Douro, directly opposite another Symington family-owned vineyard: Quinta do Vesuvio. The quinta was built close to an ancient and strategic river crossing, guarded by two 12th century hilltop castles, either side of the Douro. A small chapel dedicated to the ‘Lady of the River’ (literally: Senhora da Ribeira) has stood here for centuries and gave the quinta its name. Travellers would make a pause to pray for a safe river passage and onward journey. 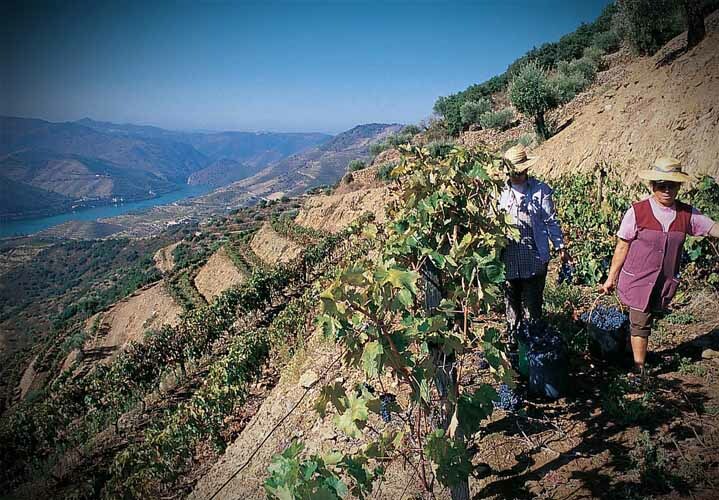 Senhora da Ribeira’s wines are some of the finest in the Douro and they complement those from Bomfim in the composition of Dow’s classic Vintage Ports. The latter would be incomplete if one of the two was absent. The quinta’s high proportion of old vines (45% are over 25 years old) is of critical importance. The old vines are very low-yielding, producing on average less than 1Kg of grapes each, giving intense and concentrated musts which are ideal for classic Vintage Port. The remainder of the vineyard was replanted as follows: 21% in 2001 and 34% from 2004, the latter involving mainly Touriga Nacional vines. This grape variety - very important for Vintage Port - now represents almost exactly a third of the total planted at the quinta. The entire vineyard has the maximum ‘A’ rating. As with Bomfim, the consistency of the climate plays a key role, although the rainfall is only half of that experienced at Bomfim: 448mm is the 10 year average. This more extreme climate, hot dry summers and cold, equally dry winters results in wines with unique depth of colour and complexity. 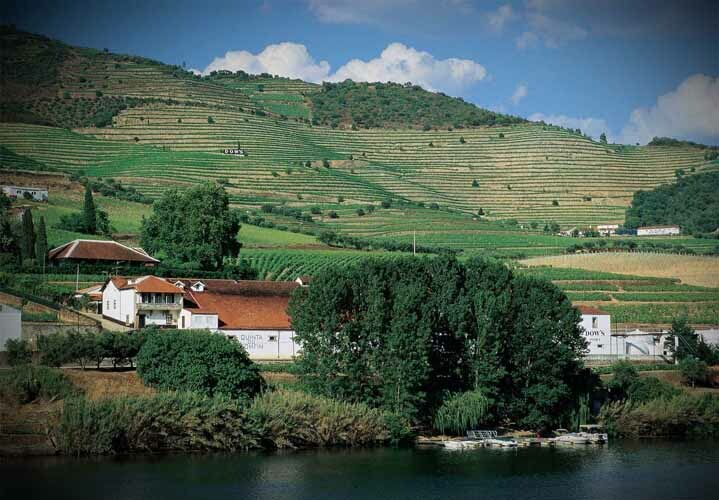 Robotic lagares: Senhora da Ribeira has one of the most advanced specialist wineries in the Upper Douro, combining the best of traditional winemaking practice, evolved over centuries, and the latest state-of-the-art automated systems. Seven granite ‘lagares’ for foot treading are now complemented by three ‘robotic’ lagares, designed by the Symington family and installed in the quinta’s winery in 2001. It has long been recognised that traditional treading produced some of the finest Ports, but there are some drawbacks involved in traditional treading; temperature control is difficult, there is a limit to how long people are willing to tread and they need to sleep. The winemaker’s options are therefore limited, he or she cannot order treading at different times through the night, or pull people off the picking team at will. Furthermore, emptying the traditional lagar takes a long time; in the meantime the fermentation process is accelerating away. A further handicap arose over recent years, when an increasing scarcity of labour obliged the Symington family and other producers to look into less labour-intensive vinification solutions. The Symingtons opted to devise a mechanical means of replicating the proven method of foot treading. The result was the Symington ‘robotic lagar’, a fully automated treading machine which has revolutionised winemaking in the Douro Valley. They are very expensive but the results have been so good that an increasing proportion of Dow’s finest wines are now made in the robotic lagares. Approximately half the component wines for Dow’s much praised 2003 Vintage were vinified in them. 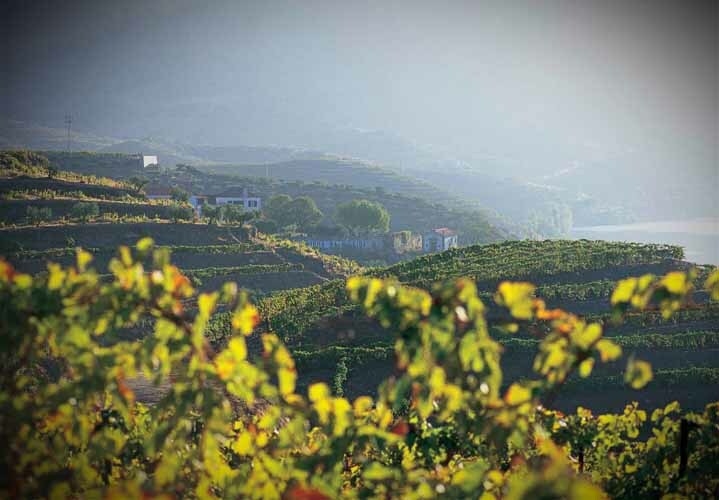 Since Senhora da Ribeira’s reacquisition in 1998, its Single Quinta Vintage Ports have in a very short period of time amassed a highly impressive number of awards, namely: three gold medals at the International Wine Challenge (London, 2008, 2006 and 2001, for the 2005, 2002 and 1999 Vintages, respectively) as well as seven silver medals and three golds at the International Wine & Spirit Competition (London, 2008, 2007 and 2002 for the 2005, 2004 and 1998 Vintages, respectively). Fortunately, as part of the agreement, Dow’s continued to make the wines and purchase them in most years, thus ensuring the continuity of style for Dow’s Vintage Ports. Furthermore, to the family’s great delight, a fortuitous opportunity to buy back Senhora da Ribeira presented itself in 1998, a year charged with great significance for Dow’s - the company’s bicentenary. Both these vineyards are privately owned by members of the Symington family who work in Dow’s. 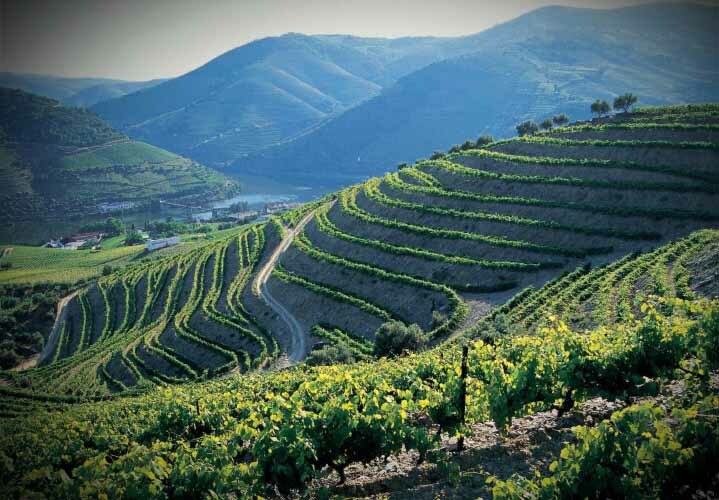 They are located quite close to Senhora da Ribeira, producing outstanding fruit which is very much in the same style as that of the main Dow vineyard. All three quintas are clearly visible from each other. 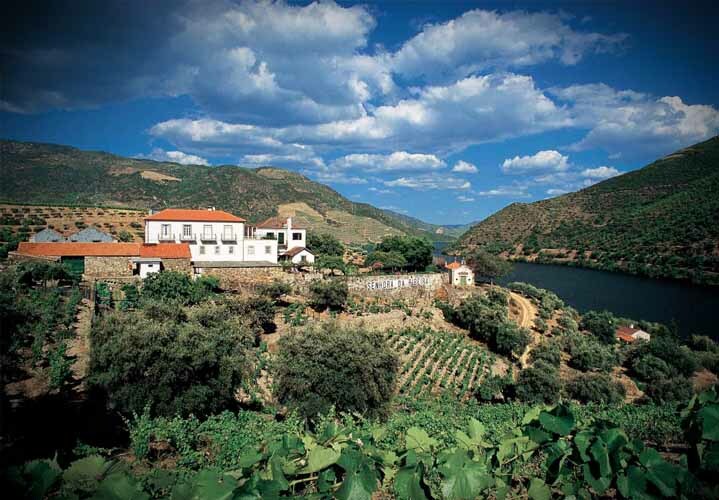 The grapes from these two properties are vinified at Senhora da Ribeira’s winery and produce some of Dow’s very best Ports. As with Senhora da Ribeira, Santinho and Cerdeira benefit from a south-facing aspect and also share the same climatic profile. Between them, these two vineyards have a total of 18 hectares under vine, planted primarily with the Touriga Franca and the Tinta Roriz varieties. 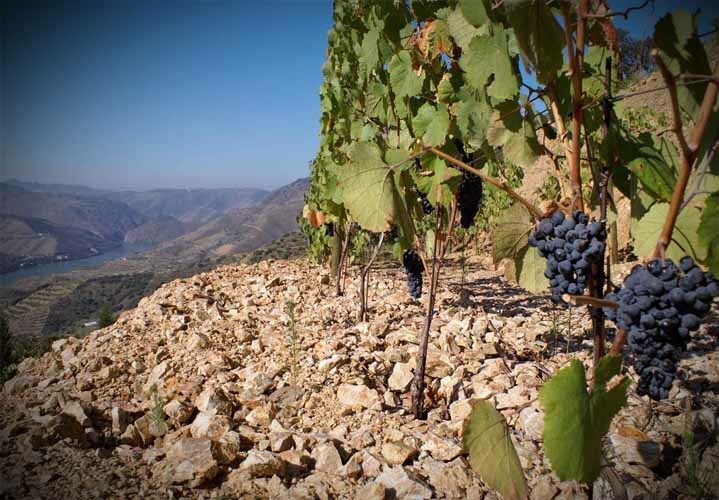 The Touriga Franca is a natural choice owing to the supreme quality of its fruit and aromatic properties and also because of its ability to thrive in a dry environment. 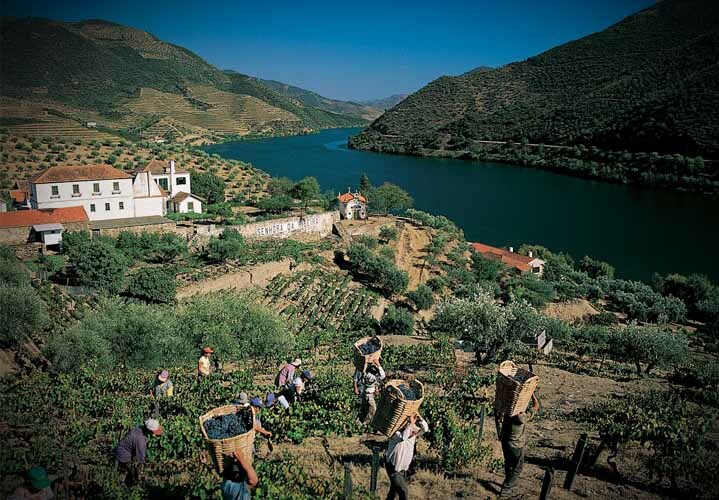 Santinho and Cerdeira are both A-rated vineyards and in exceptional years they contribute to Dow’s classic Vintage Port.